I have shot more weddings than I can count as a primary and as a second shooter for other companies. In 2010 I opened up bookings under my own company name, Samantha Marie Photography. I use professional Canon brand equipment. I currently shoot on a Canon 6D and use a set of prime lenses (50mm, 85mm). I also sometimes rent equipment on an as needed basis. When possible I try to exclusively use natural light. For indoor ceremonies and receptions I have an off camera flash that I use to avoid badly lit and grainy images. I do minor edits (for example; blemish removal, skin touch ups, teeth whitening if needed) but I will not reconstruct a new waistline or thin out your arms. I strive to pose and photograph in a flattering way for your body type and in a way that highlights your best features! If I don’t need an engagement session, can my wedding package be cheaper? Unfortunately that is not possible. We offer engagement sessions in the wedding collections as a free service in order to meet/photograph you before your big day. 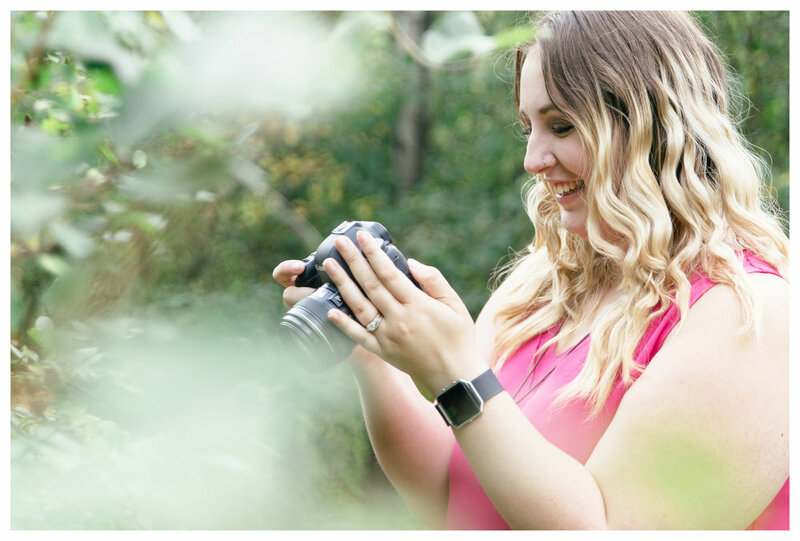 It builds a relationship and lets me know how comfortable you are in front of the camera prior to the wedding, as well as see how comfortable you are with me! An unplugged wedding is basically a wedding without cell phones, cameras, iPads, and pretty much anything else that requires batteries to run. As technology becomes more accessible and social media is a part of day-to-day life. More and more people are tweeting and posting on Facebook and not enjoying the moment at your special day. As a photographer I strongly recommend an unplugged wedding as it means you won’t get ceremony images with cell phones up in the air and your Uncle Bob trying to take a picture with his iPad in the middle of the aisle during the kiss, directly in front of me. Can our friends and family take pictures with their cameras? I strongly believe in un-plugged weddings being the best weddings. It gives your guests the opportunity to enjoy the ceremony. That being said, it’s your wedding so it’s your choice. I don’t allow family or friends to come along for the bridal images or the images of you two alone for privacy purposes and because, frankly, other people can be distracting and awkward! People are more than welcome to use their cameras during dancing, cake cutting, and other events. I just ask politely if people could please not push my second shooters or me out of the way and respect our presence. I strongly recommend a second shooter for larger weddings or when the schedule requires a photographer to be in two places at once. It is also helpful to being able to capture multiple perspectives of the same moment such as saying your vows, all the facial expressions of your wedding party, especially during your first kiss and recessional. Do you eat at the table with guests? Yes, unless you have a vendor table, it’s completely up to you! My only request is that I am seated close enough to you and the dance floor so that I can jump up when something like speeches and kissing games happens. Unplanned moments like that are hard to capture if I am on the other side of the room and can’t make it to the dance floor area on time to get the kisses. It’s difficult to give you an exact number as there are many factors. For an average 8-hour wedding you can usually expect a minimum of 300-400 images but usually more depending on the size of your wedding and how long you allow us to photograph. Keep in mind; shorter weddings will not get as many images as an 8-hour wedding. Portrait sessions usually can expect to receive their images 2-3 weeks after the shoot and weddings can expect 6-8 weeks. Copyright is something that I get asked about often. Many photographers include a “copyright release” in their contracts, which generally just means the same as a print release to have your images printed by yourself or any lab you choose. It’s not the same as obtaining copyright! Copyright simply means that I am the creator of the images and I “own” the copyright. Selling or obtaining “the copyright” is not possible, but all collections come with a print release so you will have the ability to print and share your images as much as you’d like! Do we receive the unedited files? Short answer; nope! The unedited files aren’t available for viewing or purchase. It’s the same thing as asking your caterer to give you the leftover ingredients used to make your reception dinner! The images selected for editing and final delivery reflect my very high standards and nothing else is delivered. The images not delivered are eyes closed, flash didn’t fire, person walked in front of the lens, missed focus shots, shots with bad expressions, test shots etc. Please rest assured that any images not delivered truly are outtakes and you wouldn’t want them! We do not cull to meet a certain number of delivered images, so every viable image is edited carefully and delivered.